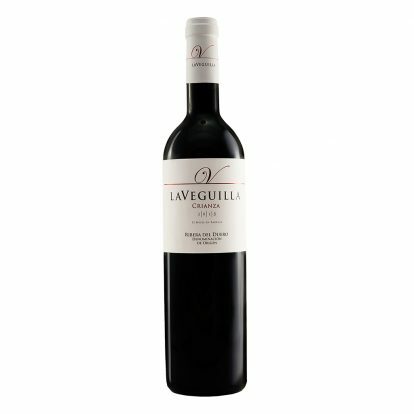 La Veguilla is located in Olivares de Duero, a privileged enclave in the heart of Ribera del Duero, one of the best wine-growing regions in the world. Our winery is a family project that is about to celebrate three decades of history and passionate dedication, driven by our philosophy of extracting the best from these unique lands. We produce our wines from the Tempranillo varietal, the grape that reigns in Ribera del Duero. The grapes are from our own 45 hectares of vineyards nestled right in the Milla de Oro, the “Golden Mile” where some of the most prestigious wineries in the world produce their wines. Our grape vines are 25 years old and come mainly from long-standing Valbuena de Duero vines. We grow our grapes in a vertical trellis system to ensure optimum maturation of the fruit. In addition, our vines are green pruned to limit production to 3,500 Kg grapes/hectare. The vineyard is closely monitored throughout the year and, one month before harvesting, we begin daily grape maturity checks so that we can harvest each parcel of land at the ideal time. Laveguilla and Viñedo Viejo are located in a narrowing of the Duero River, on sandy-clay soils interspersed with occasional limestone. The two Val plots, which cover the slope in the direction of the river, are of limestone soils in the highest sections, becoming sandier the closer they get to the Duero. The combination of the soils and magnificent sun exposure establish the personality of the grapes, the raw material of our wines. 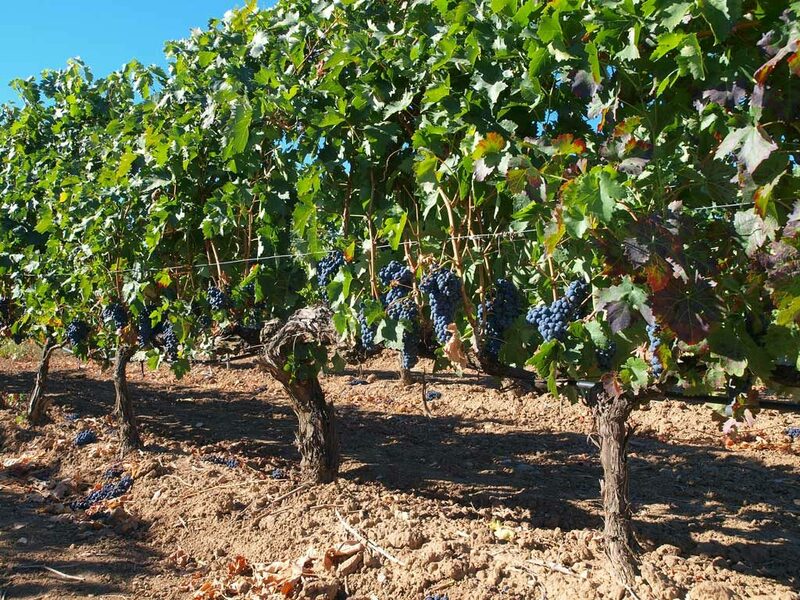 Although our principal grape is the Tempranillo, we reserve some vines for growing Cabernet Sauvignon and Merlot, which provide special nuances to the wines in specific cases. 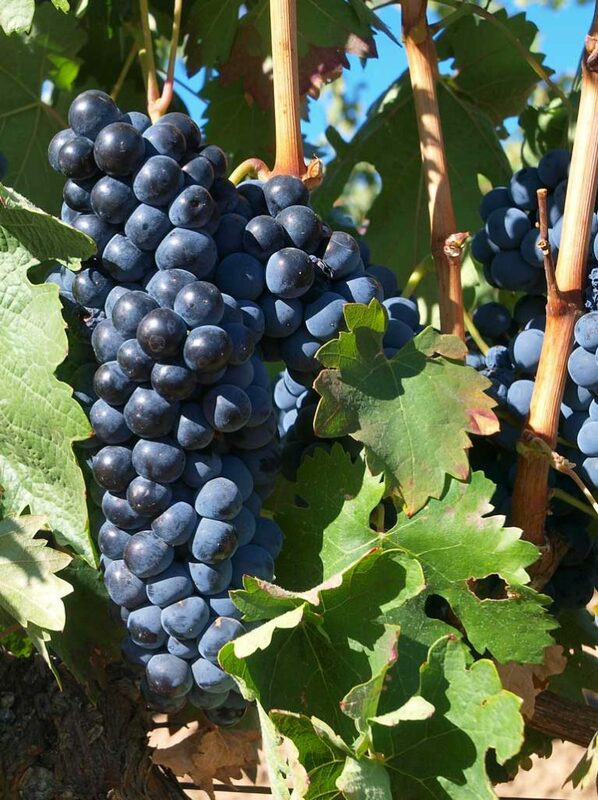 The raw material for our wines is the Tempranillo grape, the varietal that reigns over the Ribera del Duero area. It grows in compact, medium size clusters and produces structured, deep purple wines in which enticing aromas of dark berries dominate. 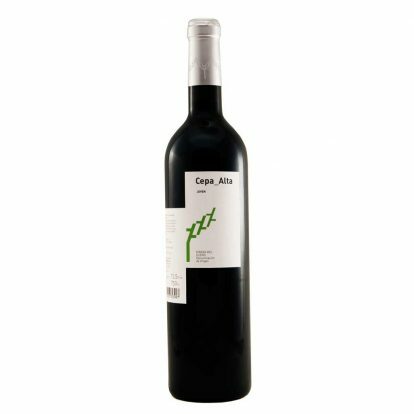 It is one of our country’s “noble grapes,” so named because it matures earlier than other red varieties. It is perfect for preparing long-lasting wines, aged in oak casks, such as the La Veguilla wines: ones with which we seek to transmit the singularity of our privileged terroir. The placement of our vineyards around the winery allows us to reduce harvest times to the minimum, making it possible for the grape clusters to arrive in perfect condition, with all their organoleptic qualities intact. After settling for a few days in tanks, the liquid (grape must) begins the strictly controlled fermentation process; the next step is the naturally produced malolactic fermentation. Both processes are carried out in 20,000-litre stainless steel cylindrical tanks, which encourage the interchange of substances, extracting the best from each grape. Once the fermentation has finished, the wine is prepared for aging in French and American oak casts under controlled conditions. Our oenologist determines the exact aging time, within the limits set by the Regulatory Council for the D.O. And when the ideal maturation point is reached, the wine is bottled in our installations, where it will rest until it rounds out and achieves the pinnacle of its expression. Always in search of the highest quality, we produce aged and young red wines under the La Veguilla and La Cepa Alta labels, along with a gelée based on our reserve wine. Ribera del Duero is a unique land that produces something inimitable, emblematic wines, with a personality forged over centuries of history. Since 1982, the Destination of Origin (D.O.) has covered and protected a wine-growing territory that extends along the Duero River, between the provinces of Soria, Burgos and Valladolid in the Castilla-León region. The extreme climate and geological singularity place their stamp on the character of the wines here, balanced, structured and long lasting. They also achieve their finest expression thanks to the modern cultivation practices, the most cutting-edge technologies, the control processes strictly applied under Regulatory Council supervision and the wisdom accumulated over the ages. In the Valladolid Ribera, located in a territory known as the “Golden Mile” because of the prestige of its wines, rests Olivares de Duero. And at a mere step from one of the most singular bridges that cross the great river is found our winery, surround by its vineyards. It is well worth it to visit the 15th-century parish church, housing a spectacular Renaissance altarpiece, and wander through the village streets over which ancient Renaissance-bred manors lean their facades. Legend has it that Charles V usually ended up here in “el mesón” when he travelled from Valladolid.